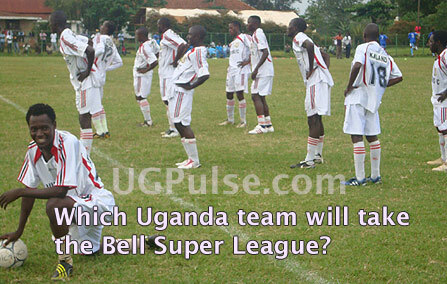 Which Uganda team will take the Bell Super League? Victors FC ready for the Bell Super League. For many Ugandans, their soccer attention is on the national teams. However, those who treasure in the local Super League can’t wait for the 2011/2012 Season that promises fireworks for Uganda soccer lovers. The Bell Super League gets underway on 9th September, 2011 with a double header at Namboole pitting Proline FC against Maroons before the night fixture involving giants Express FC and Uganda Revenue Authority FC. The match is to be telecast live on Super Sport, the South African digital satellite TV network which signed a contract with the Uganda Super League to telecast the matches. This time round the season rolls off with many changes. Super Sport has injected in huge sums of money to an extent that each participanting team is assured of at least 60 million shillings in addition to live telecasting of the big games. This was before 9th August 2011, when Uganda Breweries joined the sponsors’ queue to inject in 2.3 Billion shillings for three seasons, hence changing the name of the Uganda Super League from ECO Bank Super League to Bell Super League. The participants have also increased from 14 to 16 teams, making the season appear long and more tasking. Kasozi Ramathan blows a torch into the various camps of the competitors looking at their credentials to hoist the lucrative trophy at the end of the season 2011/2012 season. Despite losing a couple of key members that masterminded last season’s triumph, the tax collectors are still the team to beat. In the transfer window, URA has lost key players including top marksman Hamis ‘Diego’ Kizza, Daniel Wagaluka and defender Derrick Walulya. To bridge the gap, Head coach Alex Isabirye, has responded by acquiring some quality talents in the calibrate of proven goal scorers Hamis Kitagenda and Benson Ociiti from Police FC and defenders Asuman Alishe from SC Villa and Phillip Ssempira from Misindye FC. The Club is also in final stages of reclaiming the talent of Uganda’s Super League record top scorer Andy ‘Fimbo’ Mukasa. URA FC’s undoing is likely to be worn out of players who have to balance between continental engagements and Local assignments. The goal keeping department too is wanting as the available choices- Brian Bwete and Francis Olinga seem not to match the grade. After dismal performance for a couple of seasons, the joogos seem to have brought their house back to order and they are one of the teams to watch this season. The Ugandan16 times record champions have gone six seasons without a league trophy but this time round appear rejuvenated both technically, administratively and structurally. Credit goes to Counsel Fred Muwema who is spear heading the leadership at the club. Ever since Muwema assumed the presidency of the club a year ago, a lot has changed at Villa park: setting up an executive club office in one of Uganda’s posh areas of Muyenga, acquiring a foreign coach Srdjan Sevojnov from Serbia, re-opening of club branches and recently launching seasonal tickets for the fans. This is in addition to a massive recruitment of players. The club has broken its tradition of relying on its nursery –Joogo Young to dominate the Ugandan transfer market as they have acquired signatures of over 10 top quality players including former professional marksman Eugene Ssepuya and defender Ayub Kisalitta. Last season’s second top scorer Herman Wasswa from Masaka LC, Masaza Cup leading scorer Fred Musana, Moses Ndawula and Noah Ssemakula all from arch-rivals Express FC have been recruited to beef up the striking line. Midfielders, Patrick Ssenfuka and Fred Muhumuza are all on the long list of new signings. The fact that the likes of old boys; Simon Sserunkuma, playmakers Elukana Nkugwa and Hakim Magumba, Idris Kaaye , Emmanuel Kalyowa and Skipper Kirabira Isaac are also still available at Villa park, only renders the technical bench with a selection headache. But their performance will depend on how soon the new recruits settle in the team. The ‘Kasasiro boys’ finished as runners up last season and hope to start on top of things as they ended last season. The club hasn’t been much in the transfer market but managed to keep last season’s squad a bit intact apart from the exit of Brian Majwega and Jimmy Kakooza, hence making them one of the serious contenders for the 2011/2012 crown. The acquisition o young stars Macheal Birungi from UTODA FC and Eddy Mubiru from Bunamwaya,will add the much needed pace in the team. FUFA President Lawrence Mulindwa's bankrolled side, has lost most its cream of players during the transfer window and every one is waiting to see how they will cope. The departure of international full backs, Habib Kavuma and his brother Ayub Kisalita, Okhuti Ceaser and midfield general Saddam Juma , have created a huge gap at the club. The Kitende based side, has however responded by signing Brian Majwega from KCC FC and promoted a couple of youngsters from its nursery including a highly rated Juma Balinya. Wining the trophy this season appears a tall order but competing for it is a possibility. Conel Jackson Bell’s boys are steadily growing every season that passes. Within a short spell in the top flight football, Victors have moved from relegation candidate to mid table performers and now to title contenders. The decision to shift the home ground from Kampala to Jinja seem to have paid off as they have turned Kakindu as their hunting fortress especially with no stiff competition for fans. In the transfer window, they did lose goalie Benjamin Ochan and Midfielder Fred Muhumuza to SC Villa and lead striker Yudah Mugalu to Motema Pembe of Democratic Republic of Congo. However, the club’s effort to convince tactician George ‘Best’ Nsimbe to extend his contract over shadows the departure of the trio. Wining the league is beyond their ability but spoiling the party for the title contenders is within reach. The army side finished 5th last season on the league table and managed to break the 32 year jinx by lifting Uganda’s second prestigious soccer Competition, Uganda Cup. The Uganda cup is an equivalent of the Kings Cup in Spain, FA Cup in England or the German cup in Germany. Simba SC are known for starting the season on a low note and pick the momentum in the later stages. As usual Coach Fred Kajjoba will bank on the prowess of prodigal son Sgt. Wakaza Godfrey, oneness of the team and physic. The acquisition of Sula Ssebunza a brother to Cranes captain Ibrahim Ssekajja and Jimmy ‘ Kachanaga’ Kakooza from KCC FC gives the team some much needed depth .Their involvement in the CAF Confederations Cup may destruct the team though. ‘Mukwano gwabangi’, start the season in their worst shape ever. The Club for quite a big spell have been dominating the headlines of the local press, unfortunately on a wrong note over the administration of the Club; Express FC Chairman Kavuma Kabenge Vs the fans. The renowned violent fans of Express FC have been accusing Kabenge for administering the club as his personal business, and blame him of crippling it. As a result the team got divided into two factions; one led by Kabenge and other opposing group led by a famous city lawyer, Godfrey Nsamba. Nsamba’s group has been demanding for resignation of Kabenge. The un conducive environment at Wankulukuku, has seen many senior players pack their belongings and leave the club including star players Moses Ndawula and Noar Ssemakula. The teams’s performance therefore, will depend on how soon they put their act together. All the same, there is a belief among the fans that even if you pick a second division side and don on the red and black attire with a red eagle logo of Express, they can’t be relegated from the Ugandan Super league. Ever since the cops were promoted to Uganda’s top flight football, they have been carrying the tag of ‘giant killers’ but due the poor facilitation of the boys, the club is experiencing a down ward trend. In 2005, they did win their first league title and the following year, scooped the regional CECAFA championship under the guidance of Coach Sam Timbe. Since then they have been a shadow of themselves. They have acquired the signature of experienced marksman Bruno Olobo from KCC FC to lead their goal hunt but still you can only declare them title contenders on the virtue that Soccer is Soccer- and not any obvious credentials. 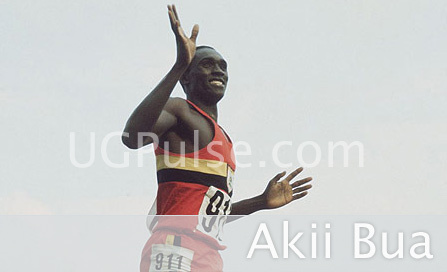 One of the most administratively organized clubs in Uganda, thanks to its proprietor, Mujib Kasule. Kasule’s boys did put up a spirited fight last season, leading the table for almost the entire first round but inexperience ruined them as they couldn’t absorb the pressure in the critical stages of the league. Their entertaining Arsenal FC like flair is joy to watch but should be taken to another purposeful level, like Barcelona, the masters of that philosophy. The departure of Sula Matovui to St George left a huge gap at the club especially in terms of creativity but with the acquisition of Paddy Muhumuza from Fire masters FC and Jimmy Kidega from relegated Gulu United, there may be some stability. They are yet to be title contenders, but the status of title spoilers is a fair description. Their first priority should be fighting the relegation axe. Last season, they turned Luzira into a hunting ground and they hope to build from there if they are to achieve the realistic target of remaining in top flight football. Under the guidance of head coach Ayeiko ‘Mbuzzi’, the National Water and Sewerage Corporation sponsored side turned untouchable in the Big League but should be reminded that this is "another level of waters" where they have to rub shoulders with the country’s best. Water FC, lost its best player Patrick Ssenfuka but Ayieko is a kind of a tactician known for building his side on team work other than individual brilliance. Like any of the new comers in the Super League, you expect Water FC to underline relegation survival as its key goal. Home ground: Masaka Recreation Ground. 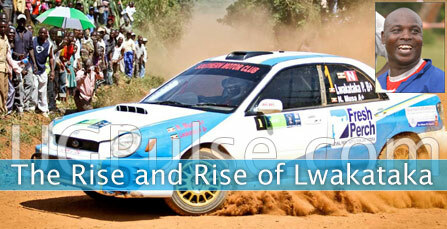 Like Simba, they tend to start on a low note but improve as the season progresses. They did lose their leading striker Wasswa Herman to SC Villa and everyone is waiting to see how they will cope up in his absence. Winning the title is a dream beyond them, therefore, they should turn their attention to laying strategies of how to survive relegation or at least finish in a respectable midposition. Fire Masters, coached by veteran Leo Adra should count themselves lucky to be back in the League, having been one of the relegated teams last season. They are back in the league by the Super League Board’s decision to increase the number of teams from 14 to 16 this season. Hope they leant something and forgot nothing from last season and can put up a better performance. Club Coach Richard Makumbi is a specialist in guiding teams to the Super division and is the reason Why BIDCO was promoted from the Big League. Makumbi is credited for having guided over seven teams to the Super Division, including the Defending Champions, URA FC. They hope to rely more on the fan base in Jinja, but all in all, a rude welcome awaits them in the Super League. The club start the season financially hand capped to an extent that its proprietors are weighing a possibility of putting it on the market. They have lost some of their dependable players including play maker, Micheal Birungi to KCC FC. This was after losing striker Karim Nduggwa to Victors FC. A torrid time awaits, Geoffrey Kigenyi’s boys. 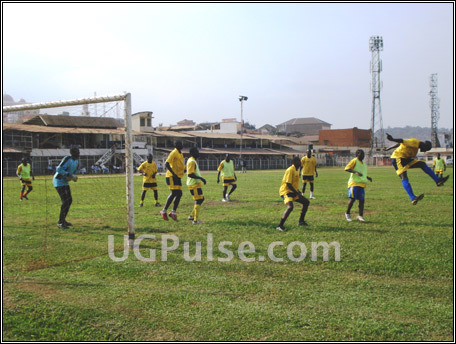 In a bid to leave a mark in the Ugandan top flight football, Hoima opted to shift its home ground to Bugembe stadium but whether their decision will be enough to pay dividends is what we await to see in this 2011/2011 football campaign. May the best team emerge victorious. KCC in their preparations ahead of the League Kick off. Uganda Kobs: Kasozi Ramathan, profiles some of the soccer players carrying Uganda�s cross to Maputo.